Andrew joined our team, Brinker Simpson & Company, in March 2019. Prior to joining Brinker Simpson, he began his career as an intern with the Philadelphia Eagles. He worked as a marketing coordinator and then a staff accountant, over the course of seven years. Andrew was responsible for the accounts payable and cash reconciliations. He assisted with the budgeting, forecasting and reporting. 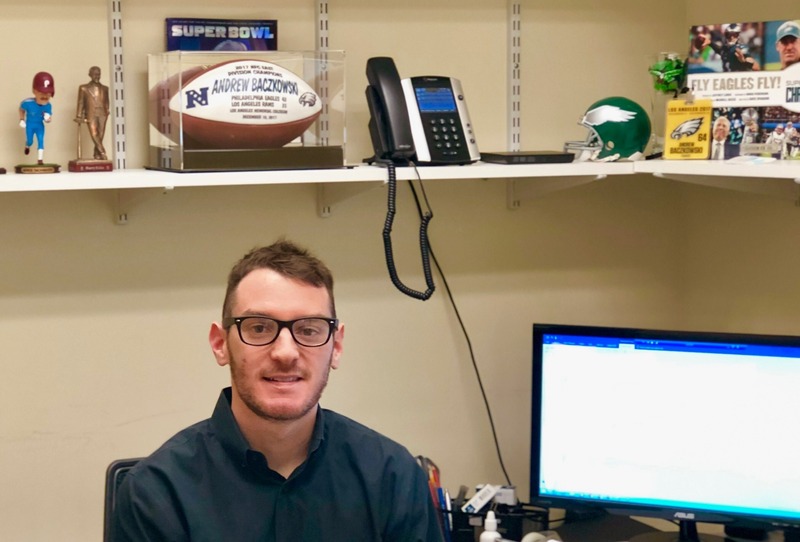 In addition to these responsibilities, he also oversaw corporate credit card program, audited monthly expense reports, assisted with team travel operations, supported retail operation, and served as Hotel Captain for friends and family at Super Bowl LII. At Brinker Simpson, his focus is to provide financial analysis, consulting, bookkeeping, forensic & fraud analysis, due diligence, and client services to our clients. Originally from Wilmington, DE., Andrew resides in Northern Liberties, Philadelphia with his fiancée, Sydney, and dog, Vera. He enjoys spending time with the two of them and the rest of his family, as well as watching sports, playing basketball, working out and trying new restaurants. He stays busy with my last MBA class, and helping with planning for their Wedding this summer. He also owns a Super Bowl ring from his time with the Eagles! Newer PostWhere will Brinker Simpson be?